Boston United have made a deadline day signing by bringing in midfielder Cameron Hawkes. The 19-year-old arrives on a youth loan from Bradford City, joining Bantams teammate Tom Clare at the Jakemans Stadium until the end of the season. 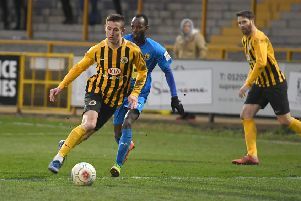 Hawkes made two appearances for Bradford in League One last season, but hasn't turned out for the first team this season. The former Sheffield United academy player would be the 48th Pilgrim used by Craig Elliott this term if he features against Curzon Ashton on Saturday.